One pair of trousers but twice the fun! Our reversible trousers are cosy, comfy and 100% organic. The ultimate in versatility! 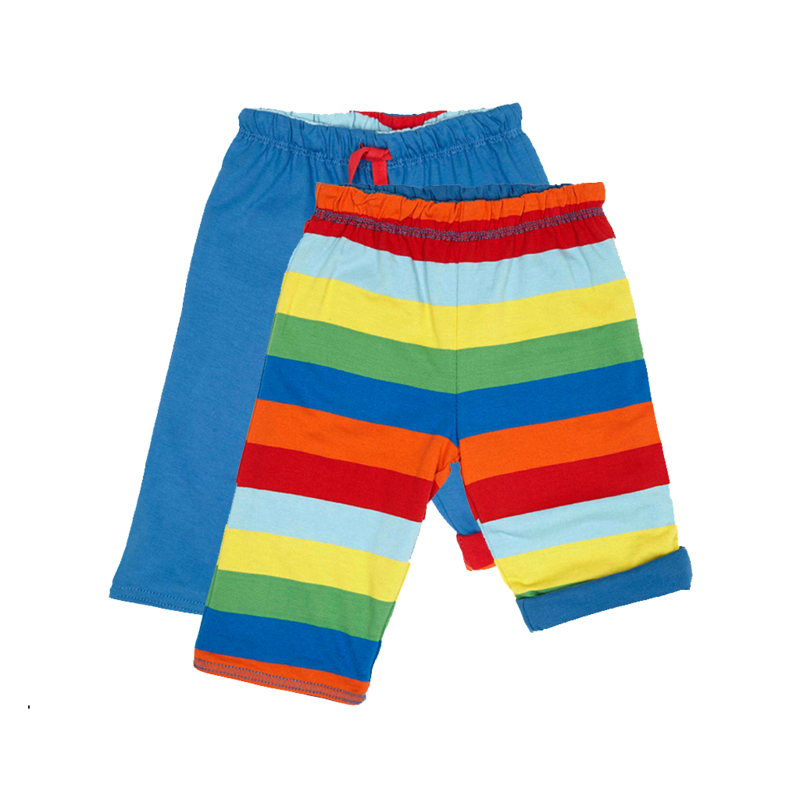 One side of these sweet little organic baby boys trousers feature our fun signature stripes, but turn them inside out to find the secret blue side below – it’s like magic! These GOTS certified organic reversible baby boy white trousers are made from our signature super soft organic cotton so they’re great for sensitive skin. 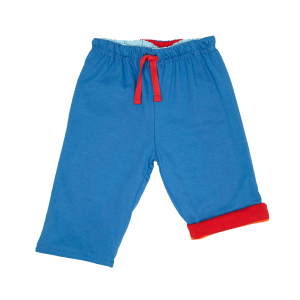 Elasticated waistband to make them extra comfy for growing tots. Roll them up to reveal the contrasting lining for a splash of extra colour! These look great with our cool organic t-shirts.